Colombia’s Ombudsman and the Mayor of Bogota have been trading public blows after the human rights office released a report over increased activity of illegal armed groups in Bogota. The report alerted the Interior Ministry of the presence of illegal armed groups like the AGC, Los Paisas, Los Rastrojos, Aquilas Negras, the ELN and FARC dissidents in Ciudad Bolivar, a district in the impoverished south of the capital. The Ombudsman asked the Ministry to guarantee the safety of vulnerable people like social leaders and adolescents, whose lives are threatened by the operations of paramilitary and guerrilla groups. The report said that locals have been threatened about pending “social cleansing” operation by the groups. 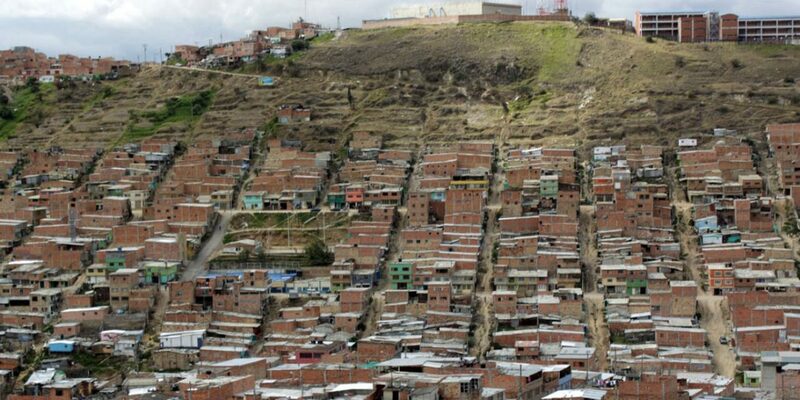 Bogota Mayor Enrique Peñalosa objected that the report was made public before being sent to him. “No one has information about the presence of the Clan del Golfo and Los Rastrojos in Ciudad Bolivar as the Ombudsman says,” Peñalosa said. “It would be very interesting if the information given by the Ombudsman’s Office to the press were given to the police, the army intelligence or our Security Secretary,” Peñalosa told Caracol Radio. Security Secretary Daniel Mejia said local security forces couldn’t corroborate the ombudsman’s claims. “The request we make to the Ombudsman’s Office is that it make these reports known to us, because it is very difficult to know the veracity of the information at the end of press articles,” Mejia said, apparently unaware that the report has been publicly available for over a month. The ombudsman reminded the Bogota authorities that his job is to alert the Interior Ministry in the event of threats. “Instead of instructing me how to carry out my duties as Ombudsman, the mayor of Bogota should carry out his own,” Negret said on Twitter. The ombudsman said the alert was sent to the Ministry early last month, and that the mayor should have known already. According to the National Police, there were 209 homicides in Ciudad Bolivar in 2017. So far in 2018, 44 homicides have been recorded in the troubled district.